The increasing popularity of the Internet of Things (IoT) set new records for KNX, the world’s leading standard for intelligent building networking, last year. In 2018, the KNX standard, which now has more than 470 leading technology groups from 44 countries and almost 80,000 certified partner companies in 190 countries behind it, maintained its leading position in the smart building sector. Within a year, the number of KNX certified products rose from 7,000 to 8,000 – more than ever before since the founding of the association in 1990. In addition, the number of ETS licenses sold reached new records in monthly comparison to previous years. Market analyses regularly show considerable market shares of over 50% for the standard in important markets. Even in China, the most important growth market, KNX has approached this milestone with a recent share of 42%. In the meantime, more than 300 million KNX certified products are in use in various projects worldwide. “As a future standard, KNX will undoubtedly be the leading system on the world market in 2019, at which point we will address the future topics of sector coupling and IoT even more,” explains Franz Kammerl, President of the KNX Association. Even today, IP and digitisation are permeating all areas of life. KNX is leading the way, providing KNX IoT manufacturers and system integrators with key technology and expertise for the latest IoT developments. This has enabled us to significantly expand our application portfolio with topics such as energy management, mobility, renewable energies, energy storage, smart metering and the smart grid. In addition, the number of ETS licenses sold reached new records in monthly comparison to previous years. The strongest market developments were reported by the partner companies in Italy, Great Britain, Switzerland as well as in China and India. At the same time, the number of KNX certified training centers has risen enormously to 460. This explains the high number of nearly 80,000 KNX partners in 190 countries. The offer of licences for pupils and students continues to enjoy great popularity. The eCampus online training is really breaking records with an average of 2,000 new customers per month. Since the birth of KNX in 1990, the absolute preservation for the compatibility of all products, a restrictive certification process, well-defined interworking and a consistent, neutral tool have set the standard. These quality advantages are also reflected in the KNX sales of the member companies. In the relevant markets, sales increased in some cases by more than 60% compared to the previous year. This is clear evidence that standardisation is increasingly playing an important role in investors’ decisions. With the international (ISO / IEC), the European (CEN, CENELEC), the North American (ANSI, ASHRAE), the Chinese standard (GB / T 20965) as well as since 2018 the national standard in Australia / New Zealand, KNX can make the investor decision worldwide to convince. The facts and figures just mentioned confirm the results of a pan-European survey by BSRIA, according to which KNX was the most popular protocol in most European markets. The standard contributes to technical standardisation in the industry. BSRIA estimates that the proportion of KNX based solutions averages 50%. This reflects the growing importance of KNX in Europe. Even in the UK, where the market is dominated by special solutions compared to continental Europe, KNX’s market share is already rising to 27%. After the very positive impulses from the developments in 2018, such as the secure transmission with KNX Secure, the easy commissioning with ETS Inside and the very strong expansion of the KNX Funk (KNX RF) product portfolio, KNX is well prepared for the next year of its success story. As a future standard, KNX is also setting new expectations in energy management. 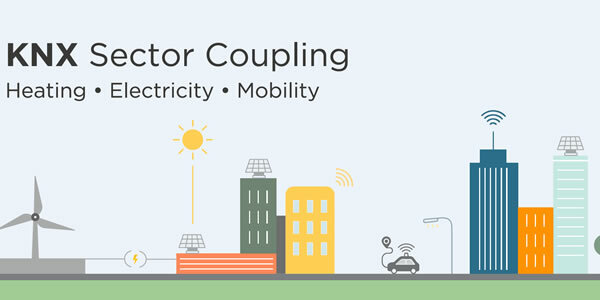 KNX IoT combines sectors such as transport, electricity, renewable energy, energy storage and heat supply as part of sectoral interconnection, and offers a holistic approach to increasing energy efficiency in the smart city.